Now-a-days, it is relatively simple and inexpensive to start your own website. Thus, businesses of all manner and sizes have begun building their own space on the Web. From startups to established companies, everybody faces competition from the Internet. In addition to the cutthroat competition, Google has begun to favor its paid listings over its organic search results. This has made it extremely difficult for various organizations to be noticed online. How do you stand out (without paying Google) in this crowd of “me-toos”? Google’s algorithm changes over 500 times in a year. At this rate, it may well seem like an enigma. But, to be noticed, you should be able to crack it so that your website ranks higher than that of others. The factor that has the greatest influence on Google’s rankings is the blue links seen on most websites. Google counts links similar to the way votes are counted. Links from relevant and authoritative websites have more credibility, and thus have more weightage. There is no quick-and-easy method to be placed on the first page of Google’s search results or get more links overnight. 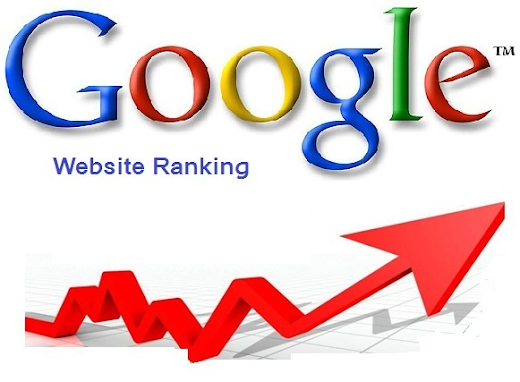 However, you can employ the 6 tactics described in order to boost your Google ranking. 1. Use a Single Identity. You may not have realized that the same website address beginning with “www” And “http://” are viewed as different pages by search engines. Thus, each page gets a different set of rankings. As a result, you lose out on the combined votes that your website should have received. You can instruct Google that you would like all the links toward one of your web pages to be directed to the other, so that all the votes go to one address. This is done by using a permanent redirect, which is known as a 301, from one of your pages to the other. Even though the business environment is quite competitive, every business relies on suppliers and vendors in order to provide their products or services. Thus, businesses are only too willing to help you if you benefit them in any way. Create a list of suppliers or vendors you employ and prefer and offer to provide testimonials to them. Many organizations have a dedicated page to testimonials on their websites, which helps build trust with potential clients. Usually, your suppliers and vendors will be happy to receive a testimonial from you and will gladly provide a link back to your website. This helps both you as well as your suppliers. Hence, both of you benefit and you are able to create goodwill among your suppliers. 3. Target The Right Keywords. As a business owner, one of the biggest mistakes you can make is the use of incorrect keywords. Do not target keywords that you “think” your customers are looking for. Perform research to find and analyze the keywords that potential clients are looking for and that lead to conversions. You can hire an SEO specialist to conduct this keyword analysis for you. You can also install Google Analytics on your website so that you can observe how visitors view your website and how they interact with it. Businesses often focus on broad and high-volume keywords that lead to good conversions, instead of using keywords that rank based on multiples of competitiveness, conversion rate, and volume. This is a good way to engage your existing customers and to attract potential clients. You can invite your existing customers to send pictures of themselves using your products or services in ways that aren’t listed in the user manual. People love to be creative and to win contests. Thus, you will receive a lot of interesting content for your website and you will also engage people actively. You can open Flickr and Pinterest accounts in the name of your business and upload the photographs you receive from customers. This will further enable you to reach more customers. Using Google reverse image search, you can locate other websites that use your images and ask them to cite the name of your website as the source. This will help you create more links to your website. 5. Speak at Public Events And Conferences. The organization that conducts the public event or conference usually includes the biography of the speaker on their website. You can use this space to link back to your website. So, brush up those public speaking skills and watch your Google rankings soar. If your staff has spoken at events while being employed elsewhere previously, ask them to add their current employer’s website address (i.e. your address) to their biographies. Hunt for web pages that have a mention of your business or website but no links. Ask the owners of the web page to place a link to your website. Only when there is a link back to your website does Google consider it in its rankings. You can employ Google Alerts to send automated notifications to you, each time somebody on the Web mentions your business or your website. You can then contact them and request them to provide a link to your website. Thank you for reading 6 Effective Tactics to Boost Your Google Ranking posted on the website Kwentology if you want to redistribute this article please include the link as the source. Have some kuwento to share? Contact us!